How does the world look like from a monochrome view? And why are Danes so in love with black? For these questions, together with others regarding the placement of colour in the Danish culture, we talked to: Miruna Sorescu, Ana Teodorel, Monique Schröder and Kotryna Abaraviciute, creators of the Copenhagen based magazine Sindroms. The publication is ‘a journal of monochrome states of mind’, published in print biannually. In each issue, they explore a specific colour and immerse readers into its world through curated visual and written content. What do you think about colour as a part of the Danish culture, and what are your personal experiences with it? Kotryna: I am from Lithuania, which is quite colourful, and before moving to Denmark, I was really amazed by the Danish palette of black, white and grey. After some time of living here, I realised that I really miss some of the colours, especially green. This is my country’s colour. It’s the forest, fresh air, that’s what I associate it with. Green, for me, has a big meaning – a lot of different moods, it makes me happier and calmer. Miruna: Romania is very colourful. I grew up with my mother who is very fond of colours; we have this crazy colourful house. Every time I show it to Danish friends, they are shocked and a bit amazed that we can live like that. I was discussing this with Kotryna a lot, when we moved here: you really have this cultural shock and as she said, I felt like I was really missing colours. With Sindroms are you then trying to convert people to colour again? Ana: I think the answer is yes. We are trying an opposite approach of what happened to us after we moved here. We are now pushing colour out into Denmark. Monique: Now we’re generalising a lot but I think there is obviously a place for colours in Danish hearts. It’s not like people are shocked by it—they seem to enjoy it. Perhaps they don’t wear it all the time but there are for sure a few curated colourful things in their lives. Ana: It is an interesting place to start talking about a monochrome magazine, taking one colour at a time under the microscope. We are trying not to push it out obsessively to the world, but look into: What does it mean in detail? What does it mean at a larger scale? How can it impact you, your mood? 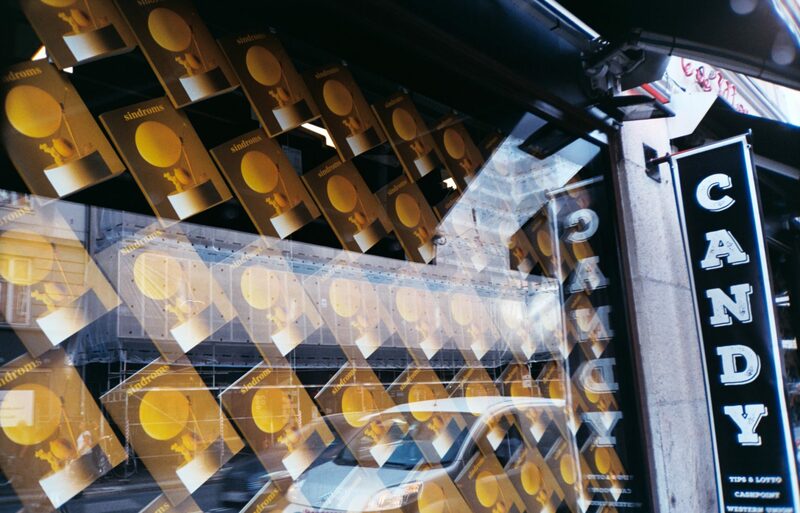 How does it change the way we perceive the city? Miruna: Before launching Sindroms we were kind of afraid. 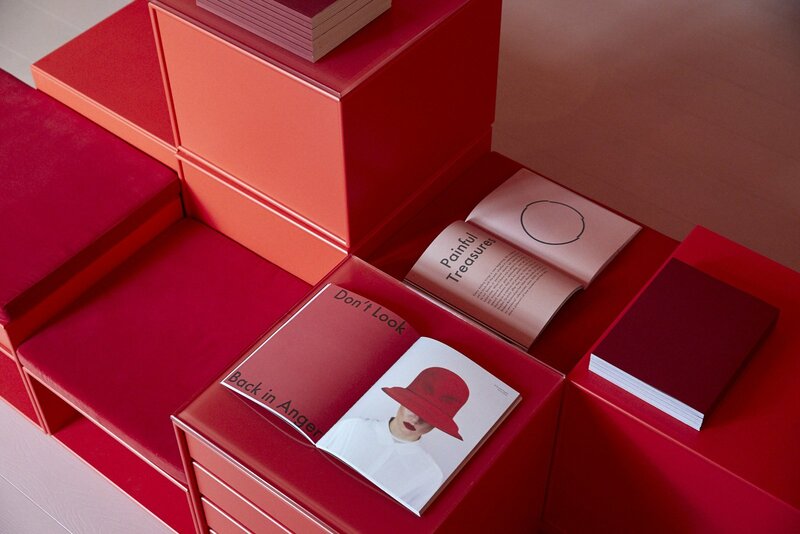 A lot of people asked, ‘You’re making a magazine about colour in Denmark? Are you sure?’. So, we were a bit nervous I think, but we also had a very good feeling about it – and we ended up receiving a very warm welcome. Do you see any more cultural differences between Denmark and your native countries? Miruna: I think there is a degree of similarity – there are differences of course, but not fundamental ones. But we find many differences when we look at other cultures, for example Japan or China. Ana: As Miruna pointed, it is obviously the subject of a journey. Not a black and white cultural meaning, but different topics and subjective understandings. It depends on the environment you grew up, what you used to see on the street and what you used to wear. Kotryna: It is actually surprising, how the colour has a completely different meaning across different cultures. Let’s take, for example, red. In some countries, it can be associated with death. You have to be quite careful sometimes and find that universal angle and language, when you are trying to speak to many different audiences. Miruna: To give one example – black is the colour of mourning in Romania, and it’s not that common to wear it unless somebody died. After moving here, I inevitably fell in love with black and adjusted my wardrobe to it – and I was getting a lot of comments about it when going back home. 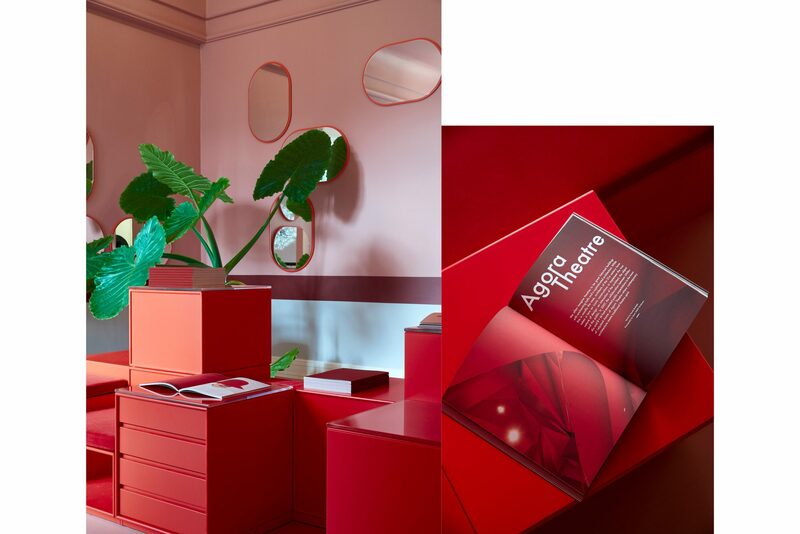 I think that’s one of the things that slowly led us towards creating Sindroms, we wanted to bring colour back into our daily lives and out in Copenhagen. Let’s come back then to black as a colour, that’s so beloved by Danes. Do you think there is any particular reason, they like it so much for? Kotryna: I always associated this colour with classic things, and good taste. And Denmark for me is all about good taste, haha. The thing is, maybe sometimes we just have a bit too much of it here and we miss other colours. Monique: Is it only me, but is this still “a thing”? Maybe I’m biased because of Sindroms, but I don’t notice black at all. Miruna: (laughing) Because it’s everywhere. Kotryna: And if you ask about fashion – my mum was visiting recently, and going around the streets, there is actually not that much of black. There are many pastel tones now, baby blue, red, pink, a lot of flowers. Everybody wears flower prints now (Summer 2018, ed.). I think that’s one of the things that slowly led us towards creating Sindroms, we wanted to bring colour back into our daily lives and out in Copenhagen. Is it a cultural change, or just seasonal? Kotryna: Maybe the trends, maybe the season. When I think about winter, fall and all the rainy days, there was a lot of black. Now in the summer, I cannot really notice that. Monique: I have seen way more when I came to Copenhagen 9 years ago. But, I have to point out that, maybe it is also a little bit ignorant to say, ‘Danish people wear black’. We mainly refer to Copenhagen because that’s where we live. I’m sure there’s whole different world outside of the Danish capital—at least that’s my personal discovery and I love it. Kotryna: It’s definitely a cultural thing. I just came back from Italy where I met my friend, who is also Lithuanian, but was living in Milan for a while. It is insane how the city can change your style. She’s now wearing only flowers and bright elements. You just kind of adjust. I was shocked, but really amazed. It’s the same what happened to me when I moved here, but after a few years you might outgrow it. Ana: I think it could have something to do with the Danish weather or long Nordic nights. Miruna: Black absorbs heat, so it could also be that we wear it in the winter because we want to be warm. But then again, colourful winter jackets are very popular in many European countries – so it can’t be just that. Monique: (laughing) I have never heard someone justifying it this way. I feel that Danish people are as well very good at embracing being melancholic and being immersed in that mindset. Maybe winter is a really good time to reflect and just be with yourself—and just be one with the darkness. Ana: I think it is rooted in the culture. Everything is gloomy. Everything is dark. The nights are long. Maybe it has something to do with. A response or need to be the part of the culture, nature. You want to be one with the environment. I also see that some of the Danes move away from everything that has to do with patterns, details. They are going for classic stuff and quality. Black is maybe a statement of quality. Miruna: Yes, it kind of ties to the whole Scandinavian aesthetic. Danish design is renowned worldwide, and its values are rooted in quality and timelessness, while still being modern and stylish. These values I think also translate to architecture here, the mentality, etc. Kotryna: Doesn’t black also help you blend into the cultural concept of not standing ‘out’ too much, and being equal? Kotryna: I’m not an expert here, but overall you can have this feeling. I feel equal here with everyone, and maybe black is a part of that in a way, that we all have it in us a bit. Your second, and so far, latest issue was exploring the colour yellow. Where can I indulge into yellow in Copenhagen? Ana: Depends what you want to see. Do you want to see a place that is completely yellow? Spotting it is about not searching for it in obvious places and ways. And that’s the beauty about it, not knowing where it will appear next or how you will experience it. Miruna: I think we sometimes feel that there are not enough places in Copenhagen to actually go and immerse yourself in one colour. I think that is one of the reasons, why we decided it will be a good idea to also organize events. 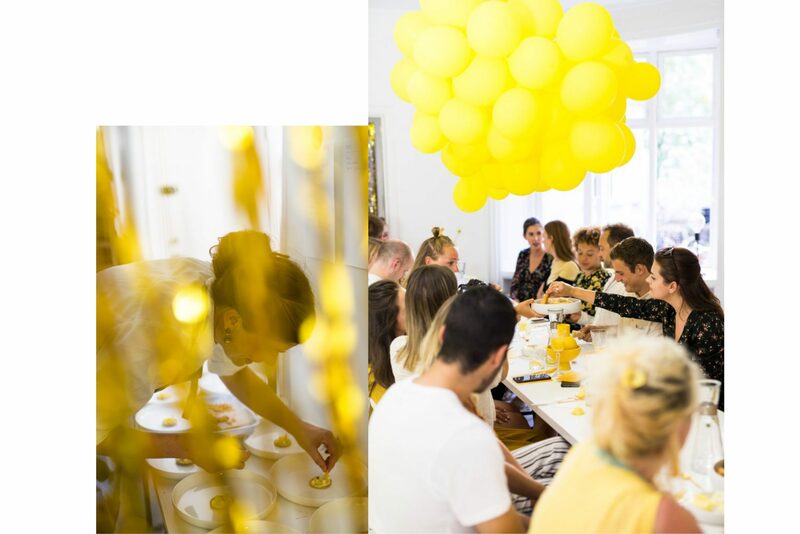 We recently collaborated with Copenhagen-based Sweet Sneak Studio to create a monochrome dinner, where we invited people to taste yellow in a complete monochrome dining experience. That’s something we want to continue doing with each colour. We want to create more and more experiences around it, so that people also have the opportunity to experience colour in Copenhagen. Kotryna: For us, yellow is happiness, among other things. So maybe go to a spot where people are the happiest in Copenhagen. I recall the beach and sun, how happy it makes us just being there. How Ana put it, it’s more about the not-so-obvious way to find it. And that’s how we are playing it. I will just recommend you go to the place that you are the happiest and then you will feel yellow. *Law of Jante (Danish: Janteloven) mentioned in the interview is a social code in the Nordic countries towards individuals standing out from the group. The Law of Jante was articulated by the Danish-Norwegian author Aksel Sandemose, but is said to be historically part of the Nordic societies for many years. 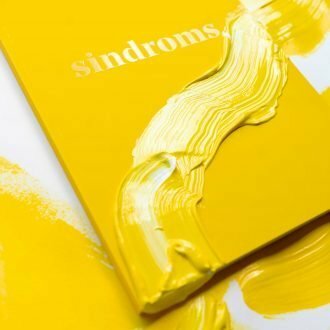 Visit the website of Sindroms magazine www.sindroms.com , where you can buy all the issues. On Instagram www.instagram.com/sindroms_ they update the readers with more of the insights behind the stories from the printed matter. Photos by Karolina Sikorska and Sindroms.